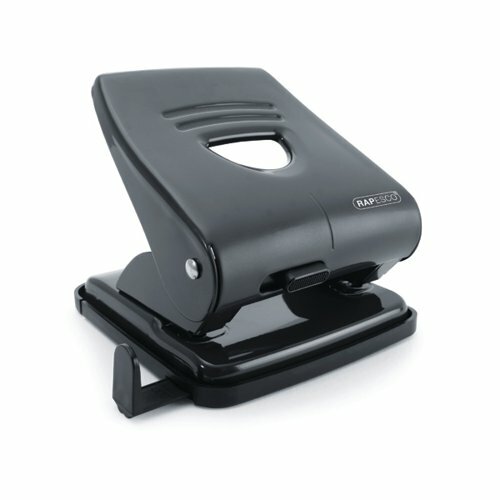 Rapesco 827 Two Hole Metal Punch. Punches up to 27 sheets of 80 gsm paper. With handle lock down switch for easy storage and adjustable paper guide.